On January 1st the Florida Senate passed a law mandating all new homeowner insurance polices make clear if they do not cover flood insurance. With homeowners more aware where they stand, says ArcDesign, they can make better preparations to avoid damage. Randy Young, CEO of ArcDesign, highlights the impact of Florida legislation regarding flood insurance coverage for homeowners. Boston-based, Karen Clark & Company, an insurance company that produces models for catastrophes, is estimating Hurricane Michael caused about $8 billion in insured losses. It includes the privately insured wind and storm surge damage to residential, commercial and industrial properties and automobiles. The figure does not include losses covered by the National Flood Insurance Program. The Sunshine State has three times the homes at risk of flooding than any other state. When hurricane Irma struck Florida in 2017 3.3 million homes were damaged. Now homeowner’s flood insurance premiums are going up again — and under a new policy change, the Federal Emergency Management Agency is considering, premiums could skyrocket even more in coming years. Coastal communities may be hit the hardest. FEMA reportedly is looking into switching to risk-based pricing in 2020, which would end the subsidies most coastal communities presently enjoy on their flood insurance premiums and show the true dollar cost of living in areas pounded by hurricanes and drenched with floods. According to FEMA: Because so many elevation techniques are available, elevation is practical for almost any flood situation. In general, the most economical approach to elevating a house is to use as much of the existing foundation as possible. A design professional must evaluate the ability of your existing foundation to support the loads that will be imposed by the elevated house. 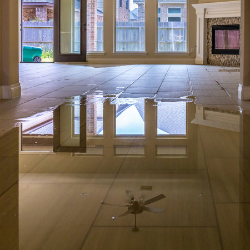 For those that have homes in a flood zone, the “50% Rule,” or Substantial Damage/Improvement Rule, states that a building must be elevated and brought into compliance if damaged by any cause for which the repair costs are 50% or more of the value of the building, and the building is both in a Special Flood Hazard Area and at a non-compliant elevation.